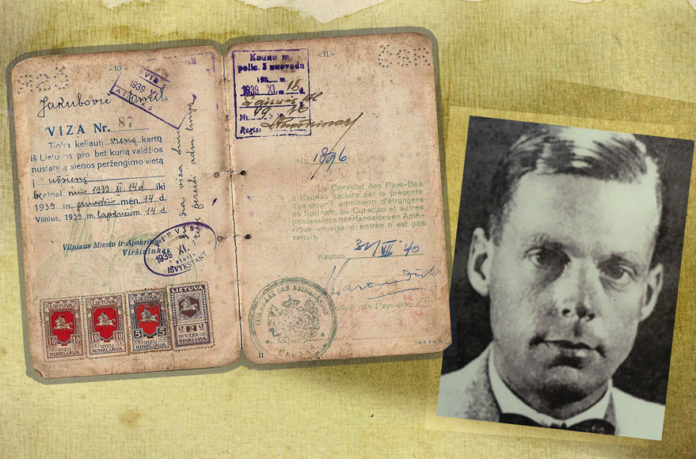 AMSTERDAM (JTA) — The Dutch Foreign Ministry reprimanded a diplomat who overstepped his authority to save thousands of Jews from the Holocaust and deprived him of royal honors, new research shows. The research into the treatment of Jan Zwartendijk, who was honorary consul of the Netherlands in what today is Lithuania, is part of a Dutch-language book published this month on his actions titled “The Righteous” by biographer Jan Brokken. Yet Zwartendijk, who died in 1976, was “given a dressing down” after his actions became known by a top Foreign Ministry official, Joseph Luns, who later became the head of NATO, the book revealed based on interviews with people who were told about it by Zwartendijk and other materials. Zwartendijk’s children said their father was deeply offended by how he had been treated. Sjoerd Sjoerdsma, a Dutch lawmaker, said in a statement that the Foreign Ministry should apologize for how it had treated Zwartendijk, whom Israel in 1997 recognized as a Righteous Among the Nations – a non-Jew who risked his life to save Jews from the Holocaust. The ministry declined to comment on whether it is considering an apology. A spokesperson told the news agency that Zwartendijk’s actions “are without blemish” and added that the Dutch state co-funded a monument celebrating his actions in Lithuania. The book also suggests that an unnamed ministry official intervened with the Dutch royal house to prevent Zwartendijk from being knighted for reasons unrelated to the war — he was a senior executive at the Dutch Philips electronics firm — for his stepping out of line during World War II.